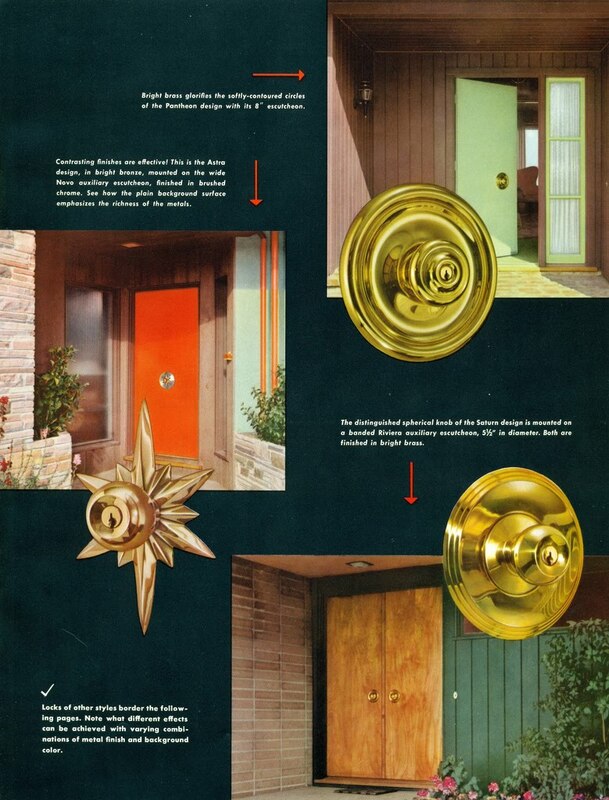 When I was looking for answers to the latest reader question about mid-century door knobs, I came across the above advertisement for Schlage backplates. It's a great reference for the type of mid-century door knobs you should/could put in each. The Schlage Astra on top of a brushed chrome circular backplate is really interesting. There's also some great ideas for front door colors for those looking to add pop while looking to use authentic mid-century exterior colors. I love the circular backplate on the bottom. I honestly can't figure out why someone hasn't tooled up to manufacture mid-century backplates. There are reproductions of everything else from that era. 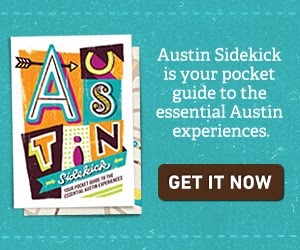 It seems like someone could really make money selling them. I know, I'd love to see modern versions of these backplates. With the amount that the vintage ones go for on ebay, etc, there has to be enough room to make a profit on new ones. Hopefully someone with more metal knowledge than me will see the light soon.